A superb toenail sized Erongo Goshenite. 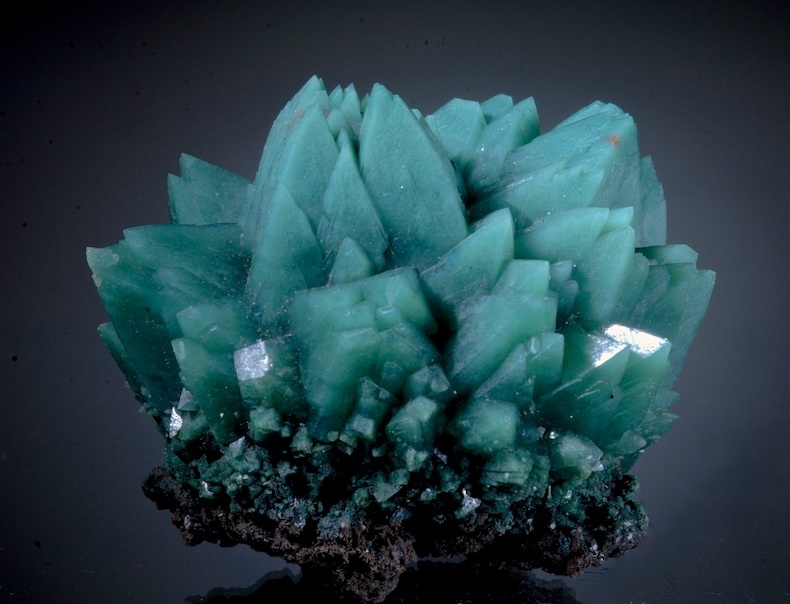 Perfect colorless Beryl crystals sprout from a Feldspar matrix in an attractive array. Excellent luster, clarity and with a slender habit all the crystals are terminated with the flat top and some tiny pinnacoid faces. An older specimen of a type almost never available. No damage at all, the specimen could be trimmed to a fine competition thumbnail but also looks great as is. 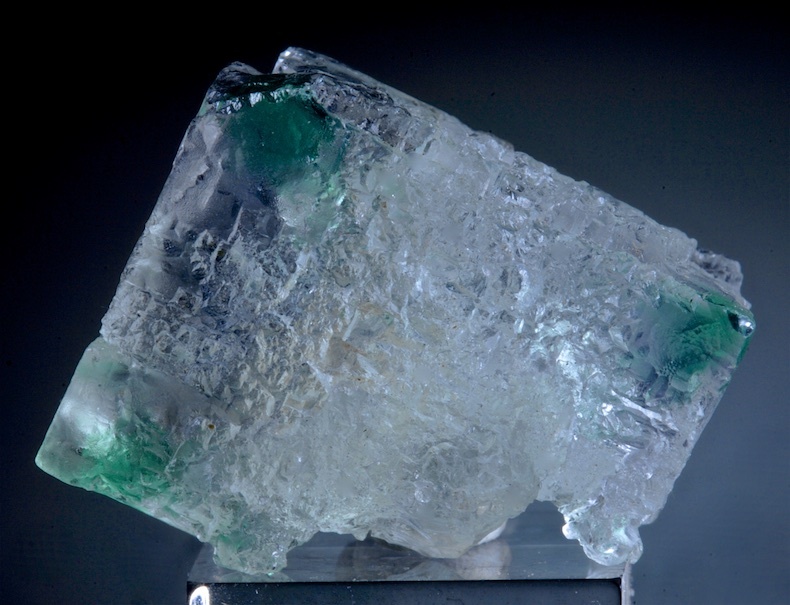 A perfectly etched cubic Fluorite with the unique emerald green corners of Penas Blancas. This rare zoning has now been attributed to the same Chromium that colored the world class Emeralds found just a few hundred meters lower on this mountain. This is transparent and mostly colorless like an ice cube with complex crystallized. etched surfaces on all sides. There is no damage or chipping A very fine example that is choice, complete and shows the selective color in the corners perfectly. Super well composed, a rare classic Northeastern USA specimen collected by the late Ernie Schlichter decades ago. 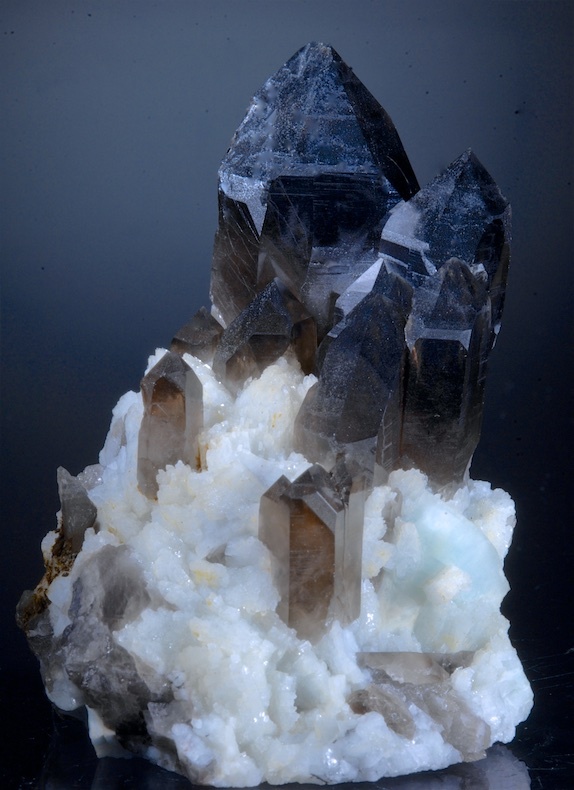 All the Smokey quartz is in perfect parallel=position and very lustrous, being fully translucent to transparent. The Feldspars are a fine "baby blue- green" hue which has always been the most desirable but also the most uncommon from Moat Mt. 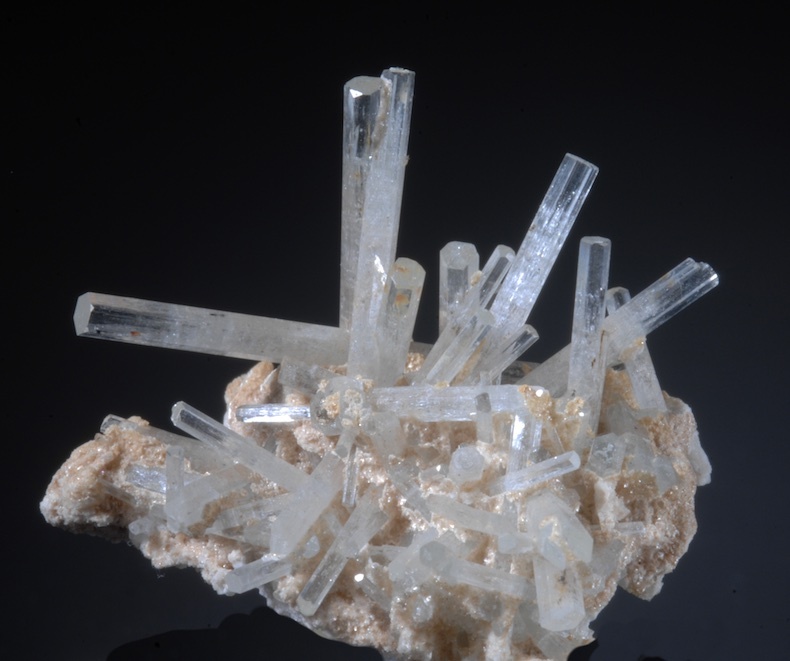 The specimen seen from the front is in fine shape but the back is contacted and a single small chip is on a the side of the largest Quartz, not seen from the logical display angles. Far better in person there were only a few pockets found with this quality and this was kept by Ernie for his collection. The specimen is sawn on the base from when it was collected, as a result it sits at a perfect display angle. 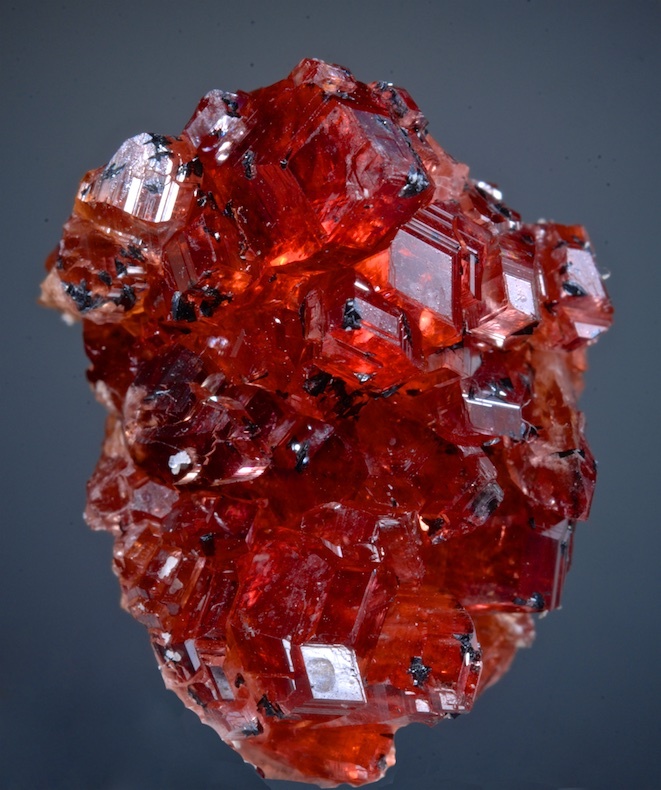 Choice and a quality not seen on the market..
A choice and brilliant thumbnail of complex, gem grade Rhodochrosite. This is part of a small find made late last year at the famed Nchwaning #1 mine. The result of years of digging in an attempt to find more of the legendary scalenohedral gem clear Rhodos last produced over thirty years ago. 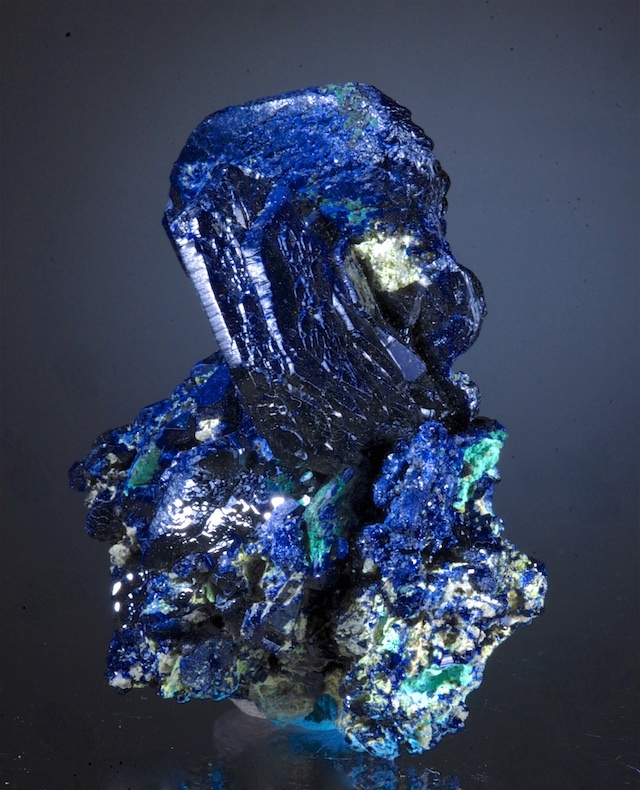 Those are now some of the most highly prized mineral specimens in the world. This new find was small but the quality was excellent. 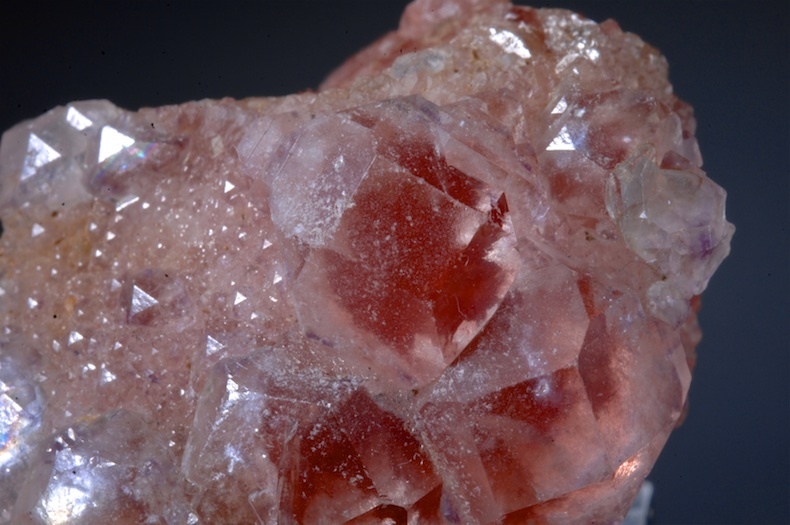 The Rhodo crystals are small but perfect, lustrous and with top intense red. This specimen has a mix of habits and forms all with a luster that is almost impossibly bright, best appreciated in person. 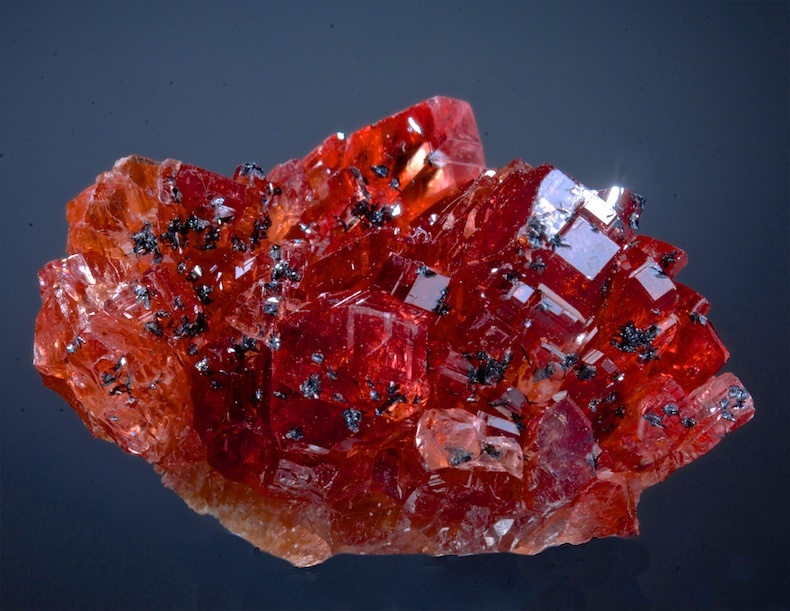 A few tiny Hematite crystals are scattered on the piece as well otherwise this is all pure gem Rhodochrosite. We had the opportunity to select a few of the very best pieces from the find as they were unveiled at the Munich show, this is one of them.